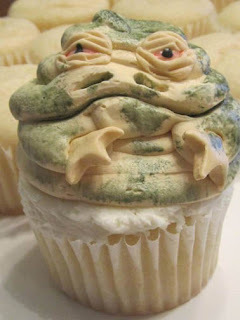 This is the final chamsa of the year, made with a spare eye from the Jabba the Hutt Cupcake Replica. This oak leaf was damaged in an incorrectly fired bisque kiln, but I think it looks good enough after glazing. These are leftovers from the construction of the Wildens. Wildens are new additions to the D&D bestiary. They're meant to be fey (fairy) creatures that emerged from the Feywild to combat the increasing Far Realm menace. In the context of Beyond the Crystal Cave, they're getting drunk with a gang of satyrs. I attempted to form the faces myself instead of using a mold and this one is my favorite. This is the hallucinogenic coyote that Homer Simpson encountered as a Johnny Cash-voiced spirit animal guide in the Simpsons episode "El viaje misterioso de nuestro Jomer." In Beyond the Crystal Cave, to enter the Palace of Spires, stronghold of the Dream Queen Soryth, the characters must collect four leaves to use as keys. I've been wanting to make this for a while. 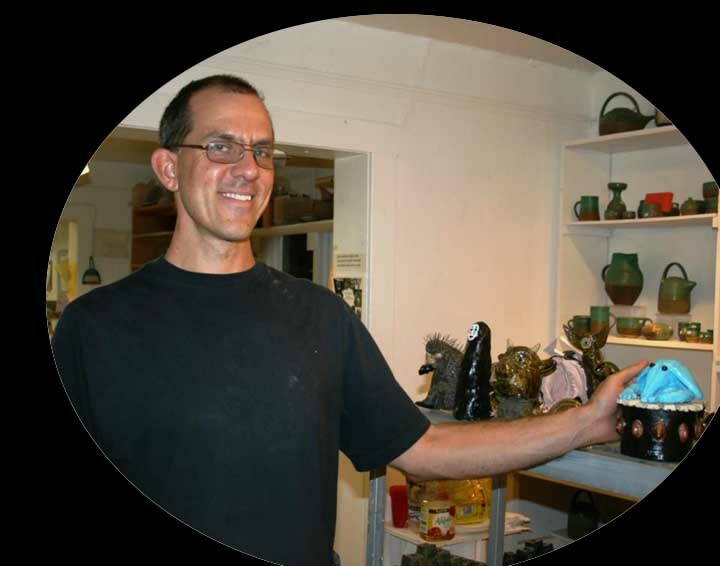 It's an image of J.R. "Bob" Dobbs, the prophet-salesman of The Church of the Subgenius. The words at the top read: "Hate means never having to say you're sorry." The various Dobbses that were mutilated in the process of constructing this object. These bears actually have nothing to do with Christmas. Beyond the Crystal Cave has an encounter featuring two small bears and one big angry bear. Unfortunately, they came out looking like wombats. 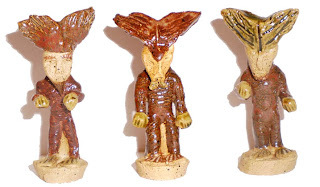 The Encounter with the mudmen in Beyond the Crystal Cave was last week, but here are three extra mudmen. 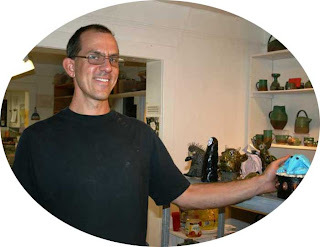 The YouTube video of the Dragon's Lair Mudmen level from my first Mudmen post has disappeared. I uploaded one myself (and without the annoying tutorial). I fixed the original post, but here's the video again. Here is my favorite death scene from the Mudmen level. 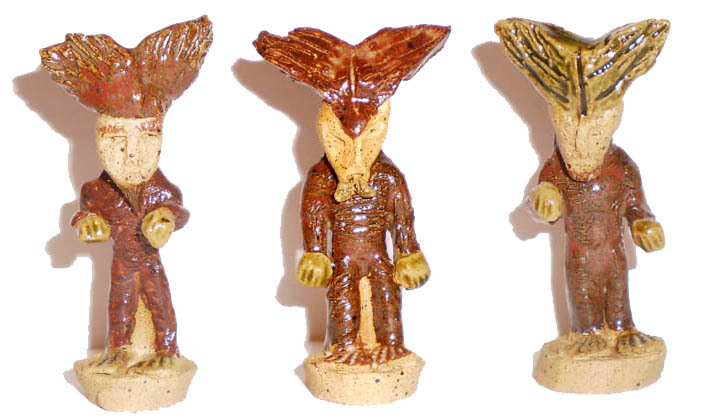 These are satyrs for Beyond the Crystal Cave. Most of them lost their horns. The one in the middle also became detached from his base. The faces are molded from a Jesus action figure and the bodies are from a minotaur eraser. I like the effect of not glazing the torsos and faces. I started a new series of satyrs. They're built thicker and the horns are attached in a more secure way. I think the hamadryad in the story is supposed to be a willowy girl in a blue dress. Mine came out a little more deranged, but at least she looks a little like a tree. This week's session of D&D Encounters involves one of the great underappreciated D&D monsters: the leprechaun. Mine are going to tower over the PCs' plastic miniatures. They also look inebriated and surly. I would like to point out that I mixed the acrylic paint for the reddish hair myself (red and bronze). Leprechauns have a long history in the D&D game. 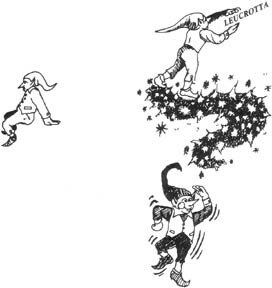 Here are some from the AD&D Monster Manual impishly (although the imp is a separate entity all together) slanting the word LEUCROTTA from the corner of a page. I found an image of a Jabba the Hutt cupcake on Reddit about a month ago and decided to replicate it in clay. I think I missed a few fetid folds around the mouth. I spent tonight making more D&D minis, in addition to a flat version of the Johnny Cash-voiced Space Coyote from the Simpsons episode "El viaje misterioso de nuestro Jomer." The miniatures for this evening are wildens, creatures newly born of the Feywild as a response to the intrusion of the Far Realm on the world. I tried several molds for the faces, including Yoda and Nien Nunb, before settling for working out the faces on my own. I like how they came out. I wasn't successful with the bodies and had to resort to using the minotaur eraser mold yet again. The wilden in the middle is blindfolded because I was trying to use twist ties to hold them up. I realized that they were more likely to destroy the wildens either now or when they're dry so I removed them while the pieces were still malleable. And here we have unicorns. This is another image of the shamrock key, hung from the wall, without a glare. This is the oak leaf key, but it appears to have been burnt and chipped in the kiln. Luckily it wasn't a terribly complicated piece to replicate. 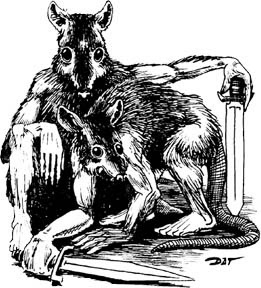 I could probably get away with lying and saying that this is just a painfully cute mouse, but I must be true to myself: it's a wererat modeled on the classic D&D illustration below. I considered painting the nose pink, but I think I'm going to leave it the natural clay color. As far as I know, the umber hulk is a D&D original. 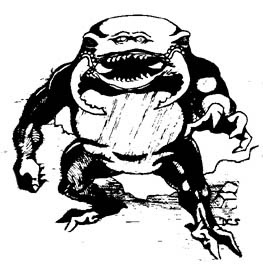 It's one of those combination monsters, in this case part nasty bug-faced creature and part bar bouncer, as can be clearly seen from the illustration from the AD&D Monster Manual below. 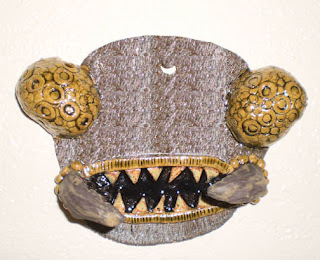 This is the umber hulk wall hanging. It has two sets of eyes, which can be disorienting to those who look upon it. In this season of D&D Encounters, Beyond the Crystal Cave, four keys are needed to enter the fortress of the main villain Soryth. The keys are a shamrock, an oak leaf, a rose leaf, and a sprig of mistletoe, and this is the first one. 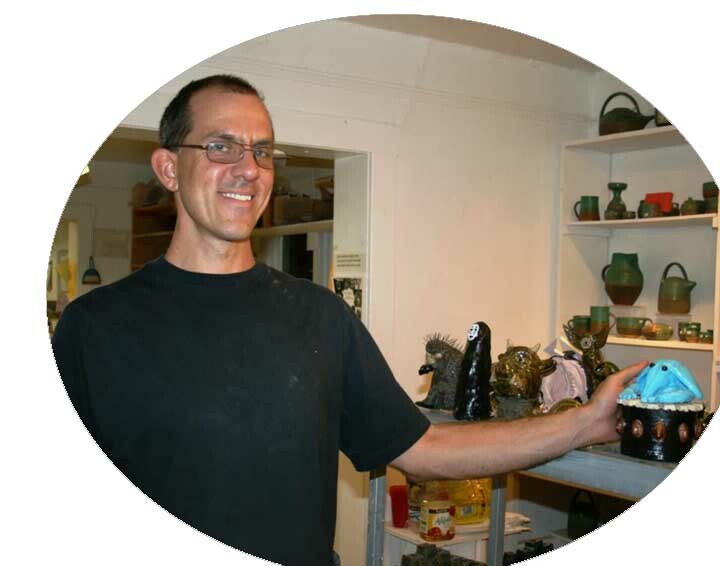 The color of the ultra cheap acrylic paint used is actually called "Shamrock." The picture below shows the color better, but I can't get it to come out without a distracting flash reflection. 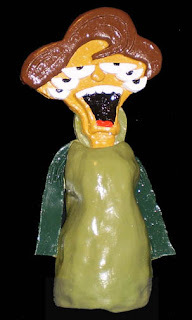 This is a hallucinogenic image of Edna Krabappel (not Crandall), Bart Simpson's perpetual fourth grade teacher. In the episode "El viaje misterioso de nuestro Jomer," Homer eats Guatemalan insanity peppers at a chili cook-off and goes on a psychedelic journey. When he looks at the already grotesque Springfieldians while tripping, they appear even more distorted. This is an interpretation of the image of Edna Krabappel in that episode. When she speaks, she sounds like one of the off-screen adults in the animated Charlie Brown films: "Wauh wauh wauh-wauh. Wauh wauhh. Wauhhhh." As Robert "Sideshow Bob" Underdunk Terwilliger once said, "You only get one chance with Edna Krabappel." I have now had my chance. 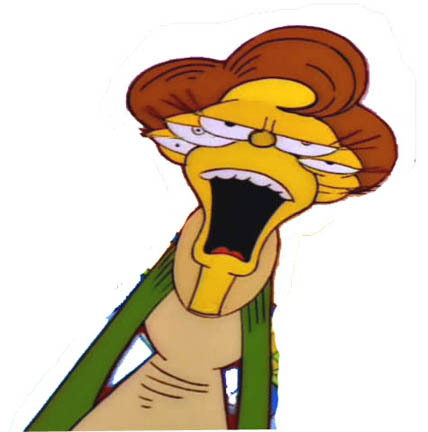 An image of Edna from the episode. I thought she needed a sixth eye to make her symmetrical. This is the Giraluna, the Dream Queen of Leo Lionni's Parallel Botany. This particular giraluna is a replacement for the one destroyed by my cat. Parallel Botany illustrates a taxon of imaginary plants which can best be described as undead.